BHASKAR and...what!?!? ?...Can that possibly be...........MOM?!? Sri Bhaskar Burmin Roy Chowdhury Jr. was born in India, February 11th, 1930. 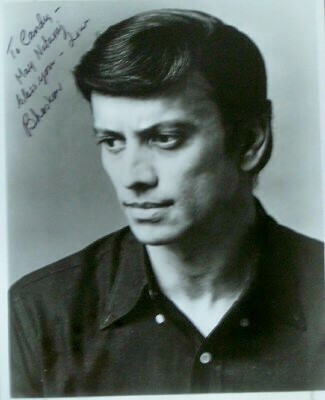 Mom met him at Stephens College in 1975, where Bhaskar was teaching East Indian Dance and where he choreographed a production of The King And I. Fortunately for Mom, she was cast in a singing role as Prince Chululonkorn, and NOT as a dancer, and was able to become friends with Bhaskar. 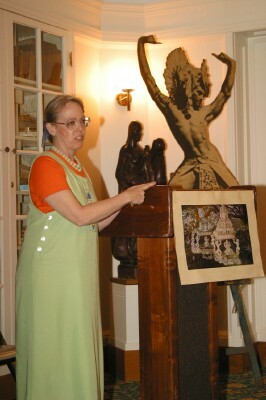 After graduation, Mom went to New York to study with Matteo and Corolla Goya, and wound up as one of Bhaskar's partners less than a year after she left college. THAT is what one calls luck. At Bhaskar's funeral in 2004, person after person stood and said, "This man was impossible, he drove me crazy, he drank way too much, he worked me harder than anyone ever had before. Giving freely of himself, he taught me at no charge, put me on the stage, and I owe him more than I can ever say." Mom was one of those people. In 1930, India still had the remnants of the caste system, Princes were real, and Bhaskar was born a Prince. Grandson of the Zamindar of Mednipur and Bhwanipur, Bhaskar's family had owned the land upon which was built Bombay, and he had the social standing that went with the title. But India was rapidly moving away from the old ways, and Bhaskar's father , the famous artist Roy Chowdhury Sr., was teaching in schools in Madras, and his mother, Srimati Devi Charulata Roy Chowdhury, decided to keep Bhaskar busy by signing him to multiple movie contracts in Baliwood. Bhaskar was fond of singing the songs he had sung as VARZAN, the Indian Tarzan, as he danced through the jungle with his cheeks stuffed with cotton balls to make him look fatter. In India, thinness is a sign of starvation, and fat cheeks are required for an healthy-looking hero, even Varzan. To please his pugilist father, Bhaskar went into the ring as a boxer, but a fight with Tiger Terry broke his nose, cost him his front teeth and ended his boxing career. As a movie actor, Bhaskar was required to sing and dance in every scene, so rather than do it badly, Bhaskar sought out Chokka-Lingam to teach him how to dance properly. 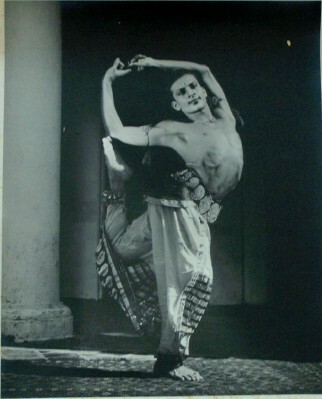 That was very good fortune for Mom, because it was this very exacting techinque of Bharatha Natyam (literally translated as "India Dance") that she was one day to learn in 1976 as a dancer in Bhaskar's American dance company, BHASKAR: Dances of India. 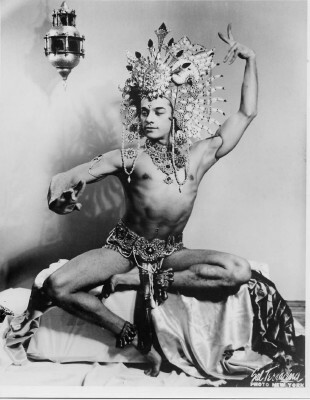 In the 1950's, Bhaskar was cast in an American production of Marco Polo, and emigrated to the United States where he later became a citizen. The photo above is from a rather historical film, "The Creation of Woman," the first movie produced by Ismail Merchant. 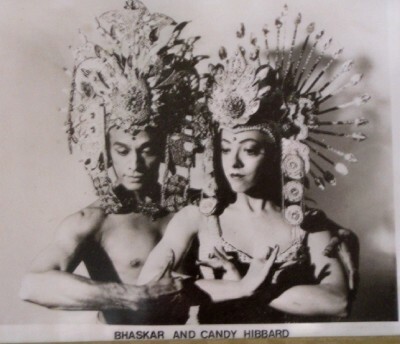 The film featured Bhaskar as 'God,' and the dancers were members of Bhaskar's first American company, Dinu and Anjali Devi. 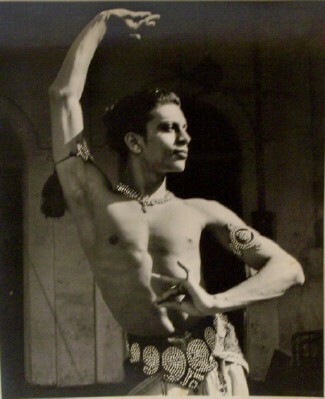 Bhaskar always used American dancers in his dance company, taught them free of charge, brought them to perfection of technique (or else), put them on the stage, and changed their lives forever. 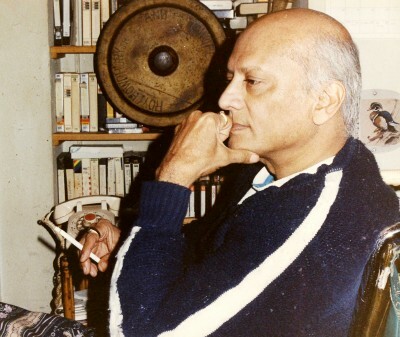 A more recent photo of Bhaskar, after the fall. While on tour in 1977 with Carolyn Kay, Bhaskar fell 36 feet from the stage at Purdue University Theatre to the floor of the elevator lift which had been lowered during the sound check. He broke his wrists and ankles and snapped his back when he tried to land like a cat, then bounced up and fell a second time onto his back. The doctors thought he might not live at all, and cursorily set his wrists and ankles. After months on a Foster Frame, when Bhaskar was able to begin rehabilitation, the wrists and ankles had healed badly, discouraging Bhaskar from even wanting to try to dance again. After years of therapy, he remained in a wheeled chair, paralized from the waist down. Though he did recover some personal control, Bhaskar never walked again. He did write and paint, and daily held Court for his admirers, launched a five-man dance company and choreographed a show while still in the Rusk Institute for Rehabilatation. As a teacher, artist and sage, Bhaskar continued to entertain and train others throughout his life giving much, and was much loved. In honor of our beloved BHASKAR, one of our costumes went on a Busman's holiday in Philadelphia the week of October 16th through 20th at the 2007 Terror Film Festival. Fits 5' 2" to 5' 5"
Princess Horror, official hostess of Terror Film Festival, was a presenter at this year’s Claw Awards wearing the actual dress worn by actress Jadine Wong (in the role of Sue-Lin) in the 1970 David E. Durston masterpiece “I Drink Your Blood”! I Drink Your Blood starred none other than Bhaskar in the role of a Charles Manson-like cult leader. The opening sequence is best watched in the recently released version with commentary made just before Bhaskar's death. Bhaskar describes how the opening point-of-view from the camera came to be determined by his reluctance to be seen in the 'altogether'...So there he is, dressed only in the hilt of a sword...camp on camp. You can also see the late Mark LaRoche, Bhaskar's life-mate of thirty years, in the role of the man who is hung and beheaded. We sure wish we knew what they did with the latex head...The dress is Mom's because one evening Bhaskar said, "Can you wear this?" and when it fit, he simply gave it to her. Bhaskar never exactly said how he came by it...A family film? well....OUR family! Take a look at the Terror Film Festival website for more information on attending the festival and submitting films for next years Terrorable Films.